Scorpios are ambitious and intense. You set your goals and plan your year ahead of everyone else in the zodiac. So what’s the best route to success? Let Scorpio Horoscope 2017 be your guide to reach your dream destination. Scorpios will have a lot of good things to look forward to in 2017. Scorpio Horoscope Predictions shows positive developments in the areas of career, business, finance, health and love in 2017. Your goals will be within reach! Your life will unfold just the way you’ve been hoping for the past years. Welcome the year with a positive attitude. Be confident with your abilities and aim high. Listen more to your heart than your ego. Resolve to build harmonious relationships with others and learn to forgive and forget. It’s time to move forward Scorpios! Hear ye! Scorpios looking for love! Take your heart out for a stroll because it will surely meet a suitable match this year. Scorpio Love Horoscope shows that the stars will favor your love life in 2017. Take note that your best matches are Taurus, Cancer, Virgo and Capricorn. Trust your instincts. If a person doesn’t seem right then chances are he/she isn’t the one for you. Attached Scorpios will ignite their relationships with more affection and romance. Curb your tendencies to be jealous and possessive. Resolve to be more trusting and understanding of your partner. Learn to give without expecting anything in return. Since your career will be highlighted in 2017, you will be more focused on work. Make sure that your relationship is not compromised by your pursuit of success. Scorpio Career Forecast shows a favorable outcome in 2017. There will be major developments in business and advancement in the career of Scorpios. The path to success will not be easy but Scorpios who are known to be very driven will be able overcome challenges. You are very competitive and will stop at nothing to win. Make sure that you do not step on toes along the way. Taking advantage of others in order to get what you want, will backfire one day. Learn to work with others. You prefer to work on your own but if you are aiming for promotion, be a team player. Management will gauge your ability to lead and work with a team. Avoid clashing with your colleagues. You are prone to impulsive reaction when someone earns your ire. Competition brings out the best and the worst of people, so stay away from office politics. Be more flexible and focus on improving your skills. Scorpios who are still in school will excel in 2017. You will join many competitions and be successful. You thrive best when you are challenged. Be a team player and maintain a healthy level of aggressiveness. Scorpios are blessed with strong intuition. You just know when to strike in order to win. Good news! You will be healthy and energetic in 2017. Scorpio health forecast 2017 shows that you will focus on getting in better shape this year. Watch out for stress induced stomach ailments. Do not skip meals and avoid unhealthy habits to relieve stress. Drink in moderation but it will be better if you avoid alcohol. Learn to open up instead of keeping all your frustrations bottled up inside. Find time to unwind when you feel your energy levels slipping. Refrain from getting too absorbed with work. Spend time with family and people you trust. It will be a busy year so make sure you include vacation in your itinerary. The financial outlook for Scorpio is very positive in 2017. Your earnings from work or business will increase. Opportunities for local and overseas expansion will come to Scorpio entrepreneurs this year. For those who are planning to start up their business, it is a good year to give your plans a green light. Do not be discouraged when difficulties arise. It is just normal to commit mistakes as you try to master the ins and outs of running your business. Although your money luck is good, curb your tendency to overspend. Opt to save and invest rather than splurge. Use your earnings to settle your loans or credit card bills. January–A raise and promotion offer awaits hardworking Scorpions. What a way to start the year! Study the viability of the offer because you might have to relocate. Reward yourself but do not go overboard. Don’t shop to impress. You will regret the splurge later on. February–Love is in the air! Attached Scorpions will shower their partners with romance and passion. Couples will work on strengthening their bonds. While the Single ones are in for whirlwind romances. Although you will have a busy work schedule, your social life will bloom. March – Career luck continues to be with Scorpions this month. There will be challenges involving colleagues. You can get too absorbed with your goals that your relationships with others suffer. Avoid your tendency to manipulate others. You can get to the top without taking that route. Do not let your ambitions cloud your judgement. April–Keep your cool and go with the flow when things do not turn out the way you expected. Be patient and everything will fall into place. Do not let your frustrations prevent you from enjoying your life outside work. Now is the good time to start working out or get active again. Find balance between life, career and love. May–It will be a busy work month. You do not mind staying late in the office just to get things done. Manage your stress and be good to yourself. Being driven is admirable but you have the tendency to overly worry. Find time for leisure or activities which will help you relieve stress. Eat healthy and avoid alcohol. June – A raise or unexpected money gift can be yours. Promotion and recognition that you have been waiting for will materialize this month. Scorpios are not the kind to be complacent so keep doing what you are doing because management will acknowledge your efforts. Learn to get along better with your colleagues. July–You have been extremely focused on moving up the ladder of success. Take a break because your mind and body needs it. Find your center and recharge. It’s also an opportune time to look within yourself. Now that things have turned to your favor, try to clear yourself of negative attitudes in order improve relations with others. August–If you were not able to take your much needed break last month, find time to do it in now.Scorpios will feel a little testy this month. Try your best to avoid conflicts at home and at work. Resist the urge to argue. Remember that the world doesn’t revolve around you. Listen to what others have to say and be open to the idea that they may be right too. September – Your efforts to get back in shape the past months are paying off and people will notice. Social life of single Scorpios will ignite this month. As your earnings increase, you will be tempted to purchase things on impulse. Stay away from your favorite online stores or malls this month. October–Hold on tight to your hard earned money. Do not get sweet talked into investments or projects that promise you unrealistic returns. Conduct due diligence. Relationships are strengthened this month. Seek time to be together with people you love. Single Scorpios will not be lonely for long. You are destined to meet your match this month. November – It’s a good time to work on clearing your loans or credits. End the year right by paying off your debts so you can face 2018 on a clean slate. Take time out to pamper yourself. Give yourself a makeover and purchase that item you have been eyeing for months now. You deserve to reward yourself with a gift. A token of self-appreciation for a job well done this year! December–Scorpio monthly horoscope 2017 shows that you will have more reasons to celebrate this season. You have gone leaps and bounds in your career or business. Attached Scorpios are still happily in love while Single ones are content with their new found loves. Do not worry about 2018 just yet. Take time to cherish your accomplishments in 2017 first. All in all, 2017 will be a good year for driven Scorpios. You are not the type to be complacent. You aim high and do what it takes to reach the top. 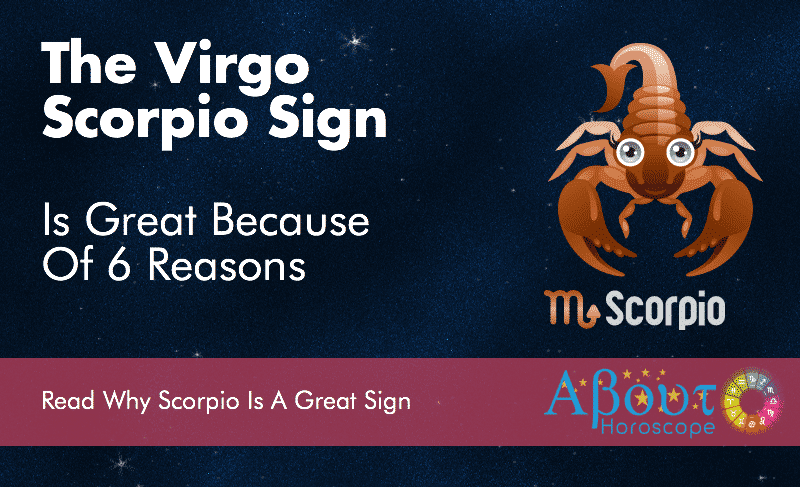 However, Scorpios have this tendency to shun others when they are too focused on their goals. This day and age, you have to learn to connect with people in order to succeed. Loosen up a bit and don’t be too serious. Why brood when you are young, charming, ambitious, skilled and driven? Enjoy life regardless of the challenges thrown at you! You will end 2017 on a sweet note after all.